Nokia has launched a new smartphone Nokia Lumia 925 and the company is going to start its sale in Germany along with in European Markets. After the announcement of this phone, Nokia has added other additional features as Nokia Glance screen with standby screen clock and battery level notifications. It is a beta version of this Glance screen that will be coming with Nokia Lumia 925. This Lumia handset will feature polycarbonated body with a metal strip around. It feature 4.5 inch screen with AMOLED clear black display 768×1280 resolution. It has the power of 1.5 GHz dual core processor of snapdragon having 1GB RAM and 16GB of internal storage. So far the camera concerns it has 8.7MP rear pure view camera and 1.2mp wide angle front camera. It will be powered by 2000 mAh battery having Windows 8 as an operating system. It hasn’t yet been speculated that at what price it will be coming with. It will offer exclusive services like Nokia Music for unlimited streaming of music and other services. 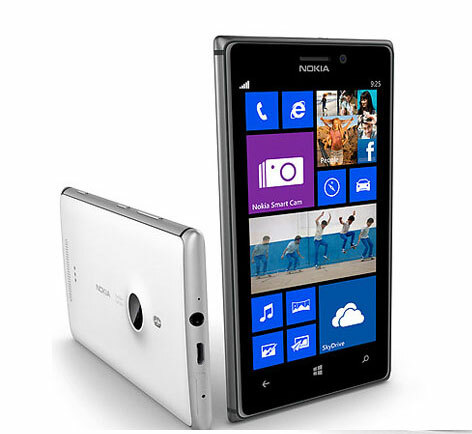 Lumia series of Nokia has saved the Nokia with its user’s easy functionality and usability as well as with its amazing windows application and features. Nokia Lumia 925 is going to be one of the best smartphones from Lumia series that will definitely be attracting customers around the world.